I started playing cards with my grandmother and loved playing 500 and Hearts at university, until I was asked to be a “4th” when travelling and decided I needed to learn more. With 3 other Mums I had 4 lessons with a local north shore player, but then my husband was asked to work in Korea, so bridge was forgotten until a few years later when we moved to Singapore where many expats were looking for a 4th. On a visit home, I noticed a large group of card players at Palm Beach Golf Club. The Director, Joan McClelland, call me in as yet another “4th” was needed. At the end of the session, Joan invited me to come along to a regular duplicate session that afternoon – and I was hooked! She introduced me to lots of different partners and conventions. When we finally returned home to Sydney, I enjoyed lessons at Trumps with John Newman. He showed me how to improve my defence with signals and more experienced players invited me to play at Congresses. Then we moved to Melbourne for 3 years where bridge helped me immediately meet new partners who became good friends and our weekends were filled with exploring Victoria via country congresses. Back in Sydney, I played bridge at clubs around Sydney while working and when I decided to retire, my local community club (Peninsula on the Northern Beaches) asked me if I would take a beginners bridge class. So late 2010, I started a beginners course of 8 weeks with 6 students – despite warnings to the contrary, all 6 completed the course and wanted to continue – only problem was that out club did not offer any supervised play, so I started one (thanks to guidance and encouragement from Joan Butts). At the start of 2011, 10 friends and neighbours of the beginners wanted to learn and 6 others were looking for a night lesson – so I added a new day and evening beginners course (now 6 weeks duration, thanks to more helpful advice and assistance from Joan Butts who recommended keeping it simple and getting them playing). A few lovely experienced members and directors offered to help the new players in the supervised sessions and this freed me up to introduce a “Consolidation Course” for the beginners to improve their play and defence and learn a few simple conventions. Some improvers moved into our more relaxed duplicate sessions and became members and the Peninsula Bridge Education Program was established – focusing on learning the basics in a friendly, non-threatening, fun environment; a social tea start and break; supervised sessions of approximately 2 hours duration to practise our uniform system agreements; a monthly workshop to learn and practise new conventions and signals and a follow-up “Book-a-Table” service to practise more set hands on a particular topic as requested. In 2013 we had over 100 members who came through our BE Program. We offered 5 beginner courses at different times and 3 consolidation courses, as well as 3 supervised sessions per week. We encourage new players into our regular duplicate sessions by organising “Pro-Am” events (where more experienced members partner inexperienced players), Teams-of-3 (with an experienced, pleasant captain playing with each), Swiss Chocolate Pairs sessions with afternoon tea social specials during the score-up breaks & a mentor service for anyone interested. I send out a monthly “What’s Happening in BE at PBC” email to all players who have come through our Bridge Education Program. It usually includes an outline of the convention we are going to learn/practise that month, starting simple and finishing with an advanced Saturday workshop on the finer details for our now much improved novices. Most of our new players are thinking about or just retired and looking for something to exercise their brain and meet new friends – and it’s lovely to see their smiling, “young” faces at our tables and social events and even venturing out to Congresses. Our BE Team is a collection of teachers, directors and experienced players who have agreed to follow a uniform system agreement as supervisors and an approved syllabus as teachers. With 30+ beginners in most sessions, we also now have assistants available to help share the load and the fun. 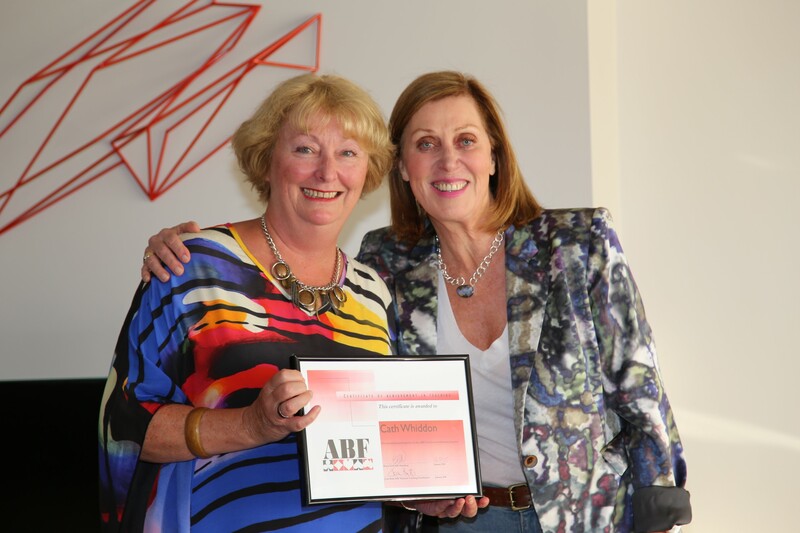 Most have completed the ABF Teachers Training Program and the Continuing Professional Development follow up so that the BE team presents as a very solid professional group all working together to offer a great service. Apart from my role as the Director of Bridge Education at Peninsula, I have just accepted the NSWBA Council’s invitation to be the bridge education rep for NSW, along with being the Metro rep for all bridge clubs in Sydney. I also work as a bridge teacher and director on a couple of cruises each year and it is really a great opportunity to introduce people to the game and encourage them to follow up at their local club on their return home. My latest cruise around the South-West Pacific Islands saw 35 new players loving the game – 6 were young teenagers – our future!